Gravity Rush 2, Cladun Returns, Danganronpa 1/2 Reload, Ultra Despair Girls, King Of Fighters XIV, Parappa, Locoroco & Patapon Collection, Tokyo Twilight and Yooka-Laylee at their lowest PSN prices (bold). Gravity Rush 2 getting bought - have some heat! Thanks for this. Danganronpa Reload and Cladun Returns are both on my wish list and now about half the price of the physical copies! Heat. Ouch assassins creed triple pack £69.99 there having a laugh. Everybody buy The Last Guardian and Gravity Rush 2. Wonderful games, now available at very cheap prices! But in regards to the latter, make sure you play Gravity Rush 1 first. It's superior to the sequel. Especially when you consider all three have been discounted to £15.99 each, saving £22. i bought a copy of gravity rush 2 for less than the digital price a few days ago but some choice titles have had the edge taken off them i see. Heat! Everybody buy The Last Guardian and Gravity Rush 2. Wonderful games, now …Everybody buy The Last Guardian and Gravity Rush 2. Wonderful games, now available at very cheap prices! But in regards to the latter, make sure you play Gravity Rush 1 first. It's superior to the sequel. It's about time the digital games started seeing real world price reductions. I know we have the sales, but quite often all that happens is the digital game sale price becomes the same price as Amazon has been for a while. 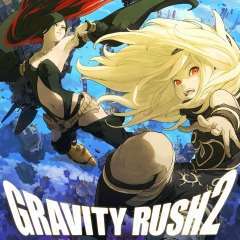 Happy to see Gravity Rush 2 finally has a permanent reduced price, been after that game for awhile as I really enjoyed the first one but couldn't justify the price. CEX still want 15 for it, it has kept its price. I was £6.49 back in September... it'll be in another sale again soon I reckon. Alternatively, buy a physical copy and trade it in afterwars, you'd probably be as well off. There's not much replay value in it - even though it's my favourite AC game, I haven't gone back to it in nearly 4 years. Man great prices especially for danganronpa. Good job as usual mate . I could never do anything like this. Danganronpa, Trackmania and Wipeout for me - great prices. Can gravity rush be played without motion controls? I bought the disc version of Yooka Laylee for £9.99 and it still doesn't feel like its value for money, many annoying things about that game. Glad I can sell that one when I'm done.